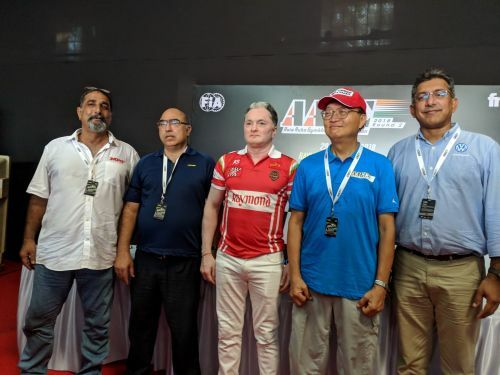 After a successful opening round in Bali, Indonesia, India will play host to the FIA (Federation Internationale de l’Automobile) recognised AAGC (Asia Auto Gymkhana Competition) 2018 for the very first time on 29-30 September, 2018. Organised by the Indian Automotive Racing Club and promoted by FB Motorsports, this two-day event will be held at the drift track in The Raymond complex in Thane, giving audiences a grand spectacle of some of the best Gymkhana drivers. The event will comprise 13 teams and 26 drivers, representing 10 countries from the APAC region, all of whom were selected through a rigorous selection process. The participants will be driving kitted Volkswagen Polo stunt cars identical to one another and it all comes down to who drives and navigates the best. Mr. Sirish Vissa, Head of Volkswagen Motorsport India said, “We are happy to provide our Volkswagen Polo stunt cars to the drivers. They are some of the best gymkhana drivers from their respective countries and would be driving some of the best cars we have to offer. I am excited for the upcoming two days of the competition.” He further added, “We strive to raise the standard of Indian Motorsport, develop awareness of motorsports in India and bringing the sport to the maximum audience possible. We are always ready for any collaboration to popularize motorsports in the country. This form of partnership restores my faith in future of motorsports in India”. Gymkhana as a form of motorsport relies on the driver’s skill and technique – to navigate through a short timed loop, which is comprised of obstacles and choreographed manoeuvres such as 360 spins, J-Turns, Slalom, Box Parking and Figure-8 amongst others. The total run time of the heats are generally under a minute which makes this a fast paced, engaging and rewarding experience to watch. Run under the aegis of FIA in conjunction with FMSCI (Federation of Motor Sports Clubs of India), the event acts as an entry point for budding young drivers to start a career in racing, in a safe, economical and practical way. The FMSCI is a long-standing member of the FIA, a national motorsport federation recognised by the Government of India, for the promotion and control of motorsports in India, and is affiliated to the prestigious Indian Olympic Association. 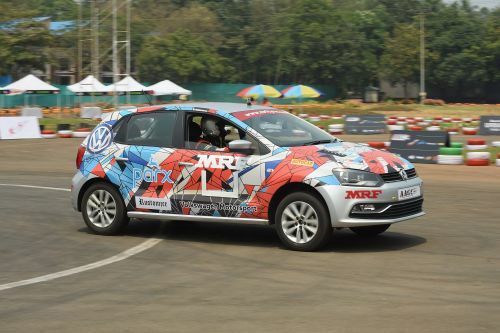 The event is sponsored by Kamasutra, Parx, Rustomjee Developers & MRF and is supported by VW Motorsport & Autocar India. The event is active on all social media channels and all event related updates can be found on @AAGCIndia handles on Facebook, Instagram and Twitter.